…and we sincerely hope it’s a HAPPY one! For the first time ever I was at a real crossroads regarding what on earth to get the Good Sir for his birthday. I asked around, “What are you all getting Roland? Can you give me any ideas, anything unique and different from the norm? More skulls maybe? A real bidet perhaps? Wait, that requires assembly… ::thinks back to the thigh master::” Collectively fans have given him a ton of things over the years including some of us delivering gifts individually. I remember 2012, handing over something he could wear, something I hoped he’d love. I even consulted with one of his relatives before buying it. Once I put the gift bag in his hand (he had a wine glass in the other…ah the wine 😉 If only we could host a wine tasting in his honour and learn everything he knows about vineyards and more…but I digress)… I felt like a weight had been lifted off my shoulders. “I’ve given the best I have right now,” I said to myself. Much like he treats secrets I don’t keep past birthday gifts “alive.” I’m not looking for them in his pictures or asking where they are. If someone loves what they receive then they’ll let you know just as he did on the 16th of September 2011 after the additional quilt we all worked on (led by long time fan Lady Kim) was delivered. Whether he tires of the annual slew of “stuff” or not, he has shown a surprising amount of LOVE & KINDNESS to many post reception. What several of us have found in person from the Good Sir is that he is a VERY warm and loving-spirit despite knowing all too well he doesn’t “have” to be. Virtually he has really opened up to a crew on Twitter. It’s giving those of us watching the verbal fun unfold something to “gasp” and “hard chuckle” about almost every day. Though he is elevated in many of our eyes to something supernatural, he is also very human. I’m glad that he has gifted us the opportunity to see that side of him as well. We thankfully, again, get to wish Sir Roland one of the BEST OF BIRTHDAYS yet to come. I pray this day is filled with genuine love from those who truly care about his well-being beyond music and tours. I hope all of his mornings, noons and nights fill him with an overload of gratitude and appreciation for the joys in his life equal to the amount of true love we have for him…far beyond his stunning tresses or other superficial admiration. I know there are many of us that truly LOVE & APPRECIATE Sir Orzabal more than he’ll ever know. We adore him for his gift of music but that’s only scratching the surface, it’s so much more than that. To all of those who literally prayed for him, his family and his friends and band mates throughout the years, this is about you as much as it is about him. There is a love for this man that surpasses anything we tweet or post on social media. 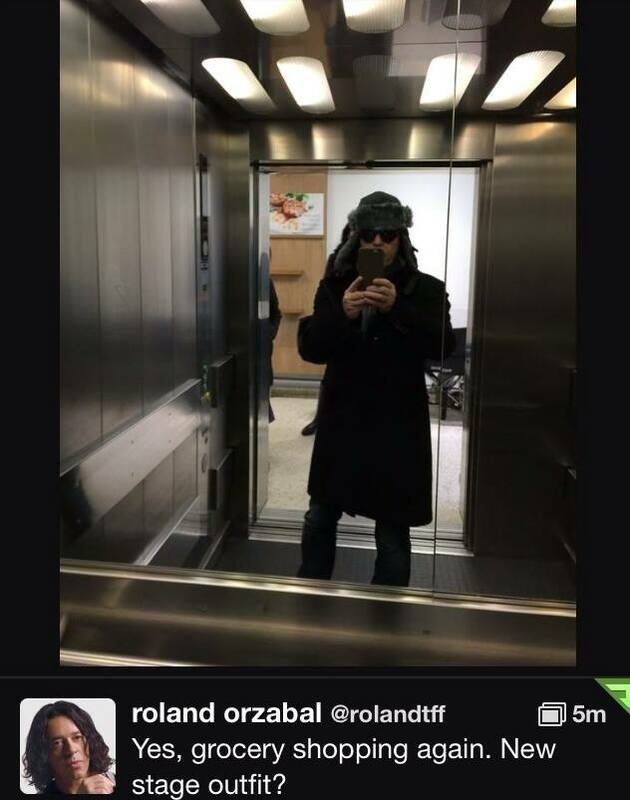 Roland means a lot to us and I wish all were permitted the opportunity to show it collectively and in unison with fellow fans who feel the same way. Here’s to another great year with Sir Orzabal and his fellow music making family. Wishing he and GoodMan Curt an incredible year ahead. I pray we ALL get to be in it with them. Posted on 22/08/2015 04/04/2016 by International Business and Cultural ExchangePosted in Band HolidaysTagged Classic Rock, Modern Rock, Rock Band Superfans, Roland and Curt are Kings, Roland Orzabal, Roland Orzabal and Curt Smith. Beautiful words, Andye. You’ve captured what many fans feel, but are unable to express., I’m grateful. 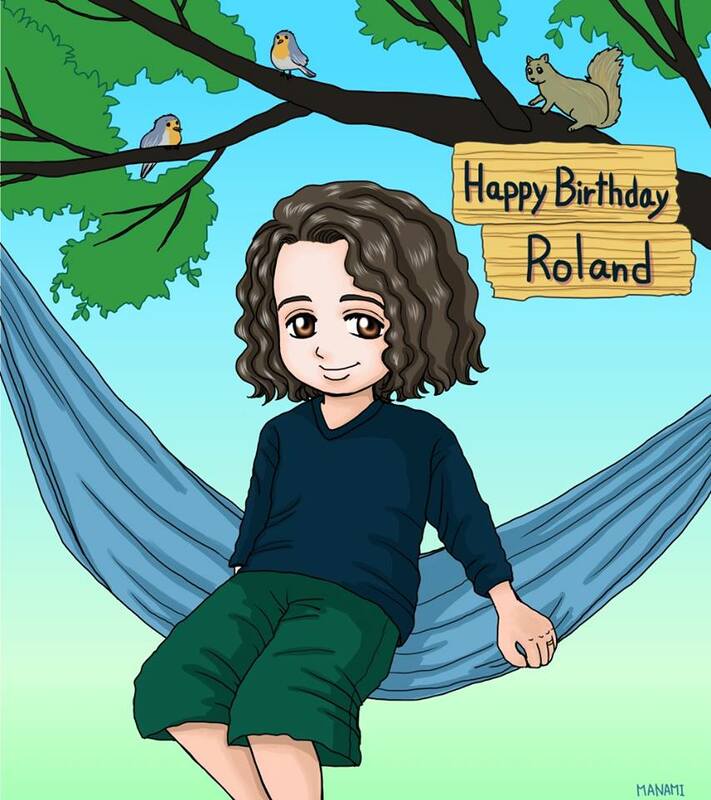 Happy Hatching Day, Roland.